Earning the designation of “Design Star” is no small feat in a nationwide community of talented floral designers. And when Christy Hulsey, owner and creative director of Colonial House of Flowers in Statesboro, Georgia, earned the designation of 2017 Mayesh Design Star, she admits to being overwhelmed. And deeply honored. 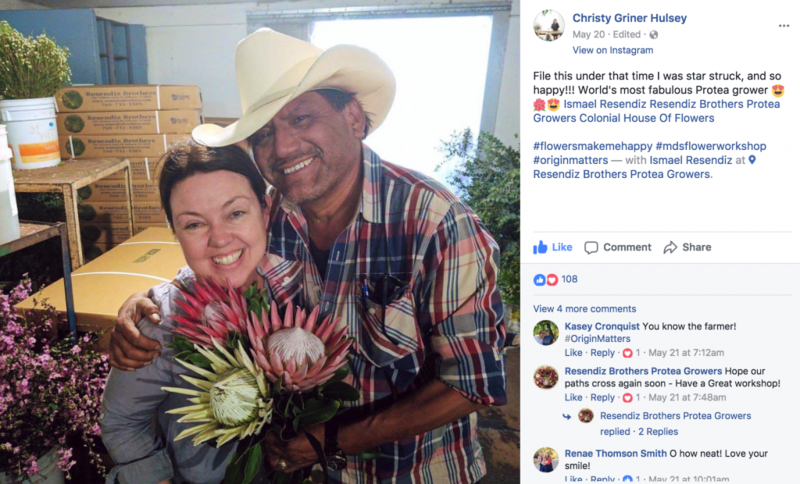 Christy Hulsey (right) has been sharing her love and support for American Grown Flowers while crisscrossing the country as Mayesh’s 2017 Design Star. As she puts it, it’s not every day that an “old-school” flower shop gets this kind of recognition. But Hulsey’s not one to rest on her laurels. She’s making the most of the honor by wowing guests who participate in the Mayesh Design Star Flower Workshop Tour – with eight stops at Mayesh wholesale flower branches nationwide featuring hands-on workshops. And along with giving students a great opportunity to network, explore floral design, and brush up on social media and marketing tactics, Hulsey is sure to talk about a topic close to her heart. The origin of flowers and the importance of using Certified American Grown Flowers in designs. “I believe origin matters. I know what various farms do really well and what I’m going to get, so when I’m creating a flower recipe, I need to know what I’m looking for and what farm can deliver it,” Hulsey explains. Christy and her family had the opportunity to tour our flower farms while on the road for Mayesh workshops throughout the country. It’s thinking wholesaler Mayesh also understands and supports. After all, Mayesh is a sponsor of the American Grown Field to Vase Dinner Tour, the award-winning pop-up dinner series that’s been criss-crossing America for three years. Hulsey will carry the message to her next stop on the Design Star Flower Workshop Tour on Oct. 17 in Portland, Oregon. 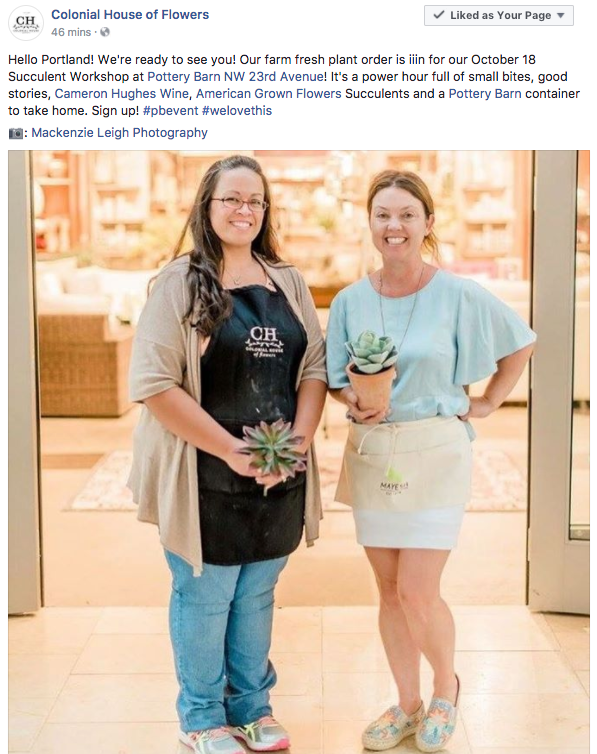 In fact, she continually shares the origin matters message in her social media posts for the tour and her stops at Pottery Barn stores nationwide where she leads succulent workshops for consumers and uses Certified American Grown plants. What does she want florists and consumers to know? Using and buying Certified American Grown Flowers isn’t hard. It is important. And it does make a difference. And yes, origin does matter.